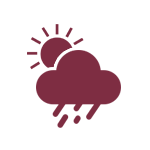 WindowAgent is a web-based real estate software application that is available on various interactive devices. 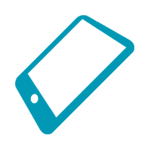 Our customized software suite allows us to personalize your application with your office's logo, listings, colors, and brand messaging. 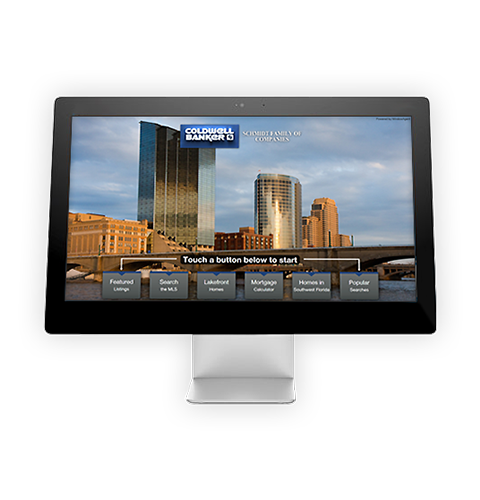 We offer a variety of page types and features that you can display on your application to best reflect your real estate office's brand and personality. The WindowAgent through-glass touchscreen system applies to the inside of your storefront window and turns it into a touch screen that customers can use from the outside of your real estate office window. The WindowAgent through-glass touchscreen system stays safe with all of the components situated safely behind the glass, inside your real estate office. Through-glass touchscreen technology continues to work despite weather conditions on glass. WindowAgent indoor kiosks are sleek, attractive, effective, and can be incorporated beautifully into any environment or real estate office. Our vandal resistant design ensures that your kiosk will continue to perform under heavy-use conditions in places such as malls, grocery stores, airports, and more. 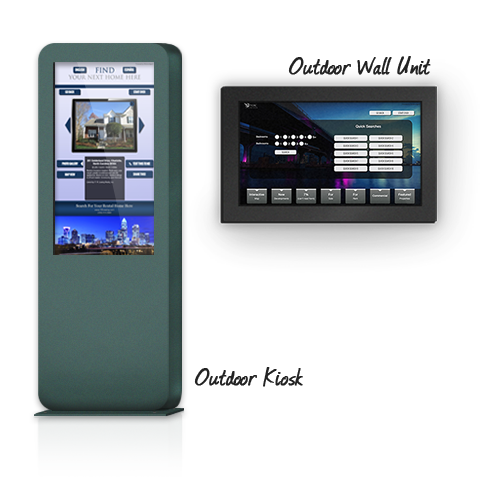 WindowAgent offers all-weather kiosks for use in outdoor malls, shopping centers, or busy parts of town giving you more options for street level marketing placement. Outdoor kiosks come with a weather-resistant design that keeps the technology and inner-workings safe in virtually any climate. Table top touch monitors are an amazing tool for any real estate office looking to have performance and mobility in equal portions. Created as an alternative to the standard stationary display, a table top touch monitor gives you the freedom to setup an easy-to-use station in any location. 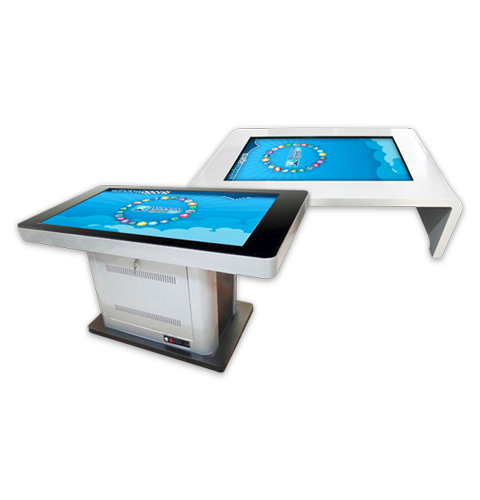 WindowAgent touch tables come in single and dual-sided variations and are truly standalone systems. 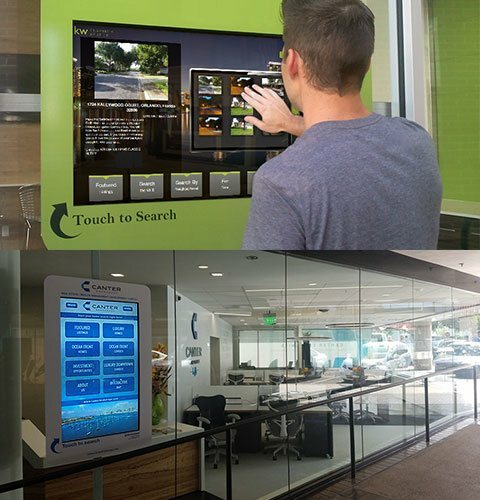 Use touch table as an intriguing, attractive, interactive hardware platform in malls, lobbies or corporate offices. 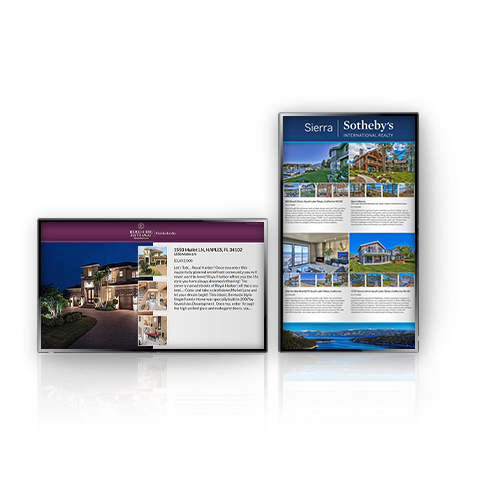 These systems are perfect for use with WindowAgent interactive real estate marketing and lead generation software. 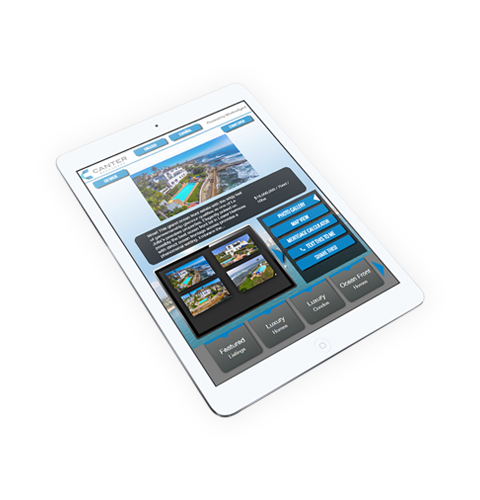 Our WindowAgent real estate touchscreen software is built to function on multiple touchscreen devices, including the Apple iPad. Choose the interactive platform and the type of device you prefer, and WindowAgent will provide the most powerful real estate touchscreen experience on the market today. WindowAgent interactive indoor wall touchscreens are a perfect match indoor real estate office settings, entry ways, lobbies, rented mall spaces, grocery stores and more. 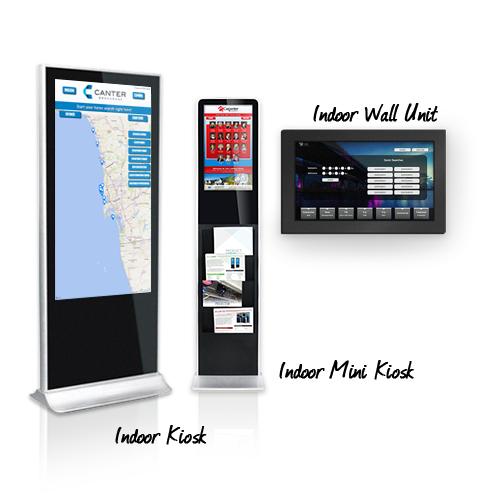 These all-in-one multitouch systems are per-configured with a PC, touchscreen, and attractive case design which can be color matched to complement any indoor environment. 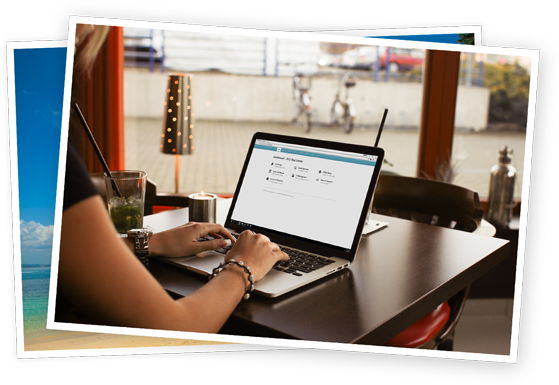 Experience around-the-clock lead generation as potential real estate buyers and sellers have access to your listings at any time on the storefront window, even when your real estate office is closed. Users are able to email themselves properties as well as request more information and share to popular social media sites. Anywhere from your work or home office to 30,000 feet in the air, wherever and whenever you can connect to the internet you also can access and update your display. Add and edit featured listings, access the lead database, adjust quick searches, and more. As your MLS updates each day, so does your office window display, giving customers access to your current MLS listings and data. 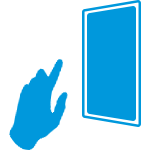 You are also able to create your own quick searches and filters for listings so customers can quickly find their ideal property. 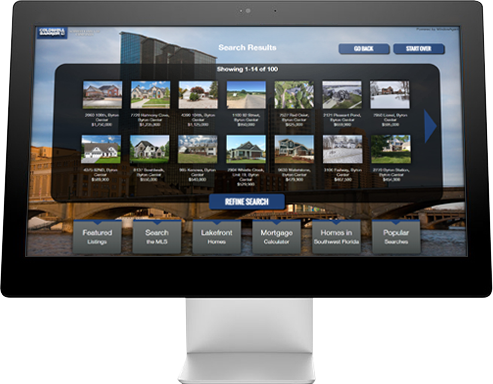 Users are able to search, sort, and view properties with all information provided from the MLS including pictures, virtual tours, interactive maps, and more. 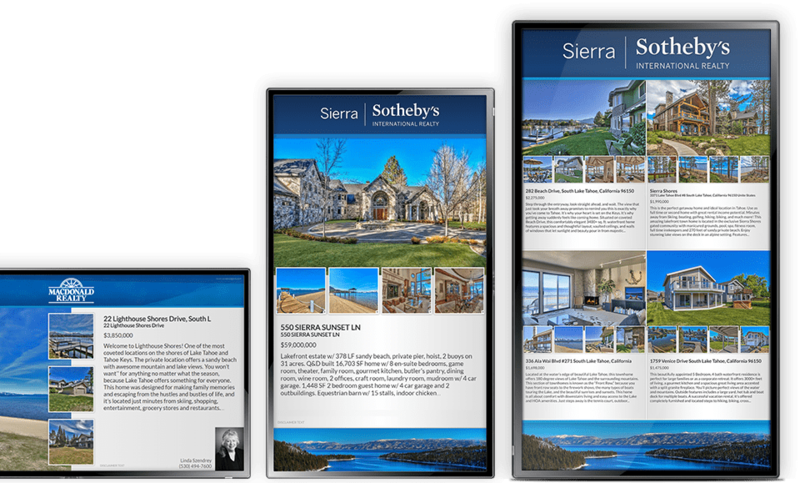 Digital Lightbox Real Estate Listing Software provides an eye-catching and hands-free way for customers to view your office's listings, associated agents, and advertisements in the digital age. 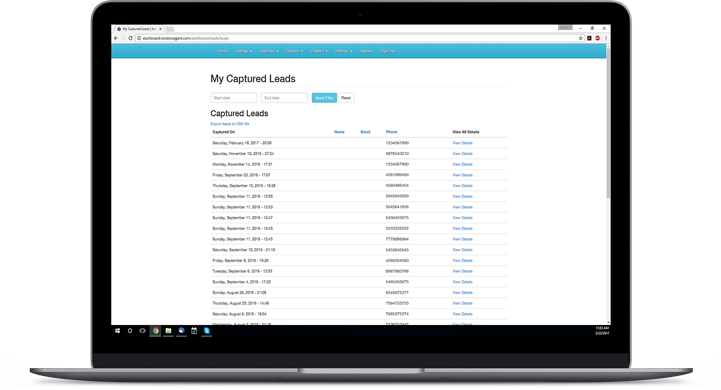 Automatically cycle through your most important listings and show passersby what you want them to see.